Shocking: Aged #domain name Soft.org dropped! :DomainGang Shocking: Aged #domain name Soft.org dropped! The aged, super-generic domain Soft.org dropped a few days ago. 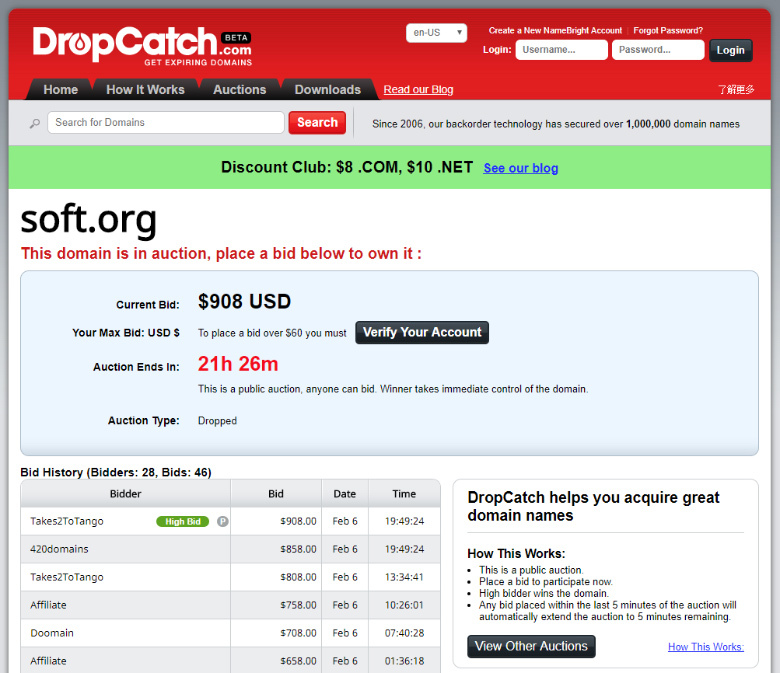 Domain-catching service, DropCatch, managed to re-register it on the drop; Soft.org was originally registered in 2000. The domain has been in the hands of a Korean registrant since then, but in late November 2017 they apparently failed to renew it.  The ongoing auction for Soft.org at DropCatch is now ending in less than 24 hours. The current high bid is $908 dollars, with several bidders involved. As it’s a public auction, anyone can bid.  We can only speculate what went wrong with the previous domain owner’s ability to renew this premium .ORG domain. Did they not receive notifications at their nounjin@dreamwiz.com email? Meh. Soft.org? As a truncated version of software? Meh. Apps. SAS, whatever. Soft.org for all things “soft”? For being “soft on” or simply “being soft”? The analysis seems a bit . . soft. For something as soft as soft I’d venture most of the new gTLDs would be as . . soft. I’ve seen lottery ticket thinking happening for 2 decades now and I’ve paid for more than my share of . . lottery ticket domains. I’ll assert and admit that I’ve paid the price for my (limited) knowledge. This one, with an auction headed to >$1,000.00, seems like a bit of an education in the making. Jeff – That’s your second “meh” comment. I get it, you don’t agree with how domains outside of .com are valued. But they can fetch a pretty penny, and if you own some good one-worders with a positive meaning, go ahead and sell them.